Remember when I recieved my Beautylish Lucky Bag 2016? Well this Anastasia Beverly Hills - Self-Made Eye Shadow Palette was in there. 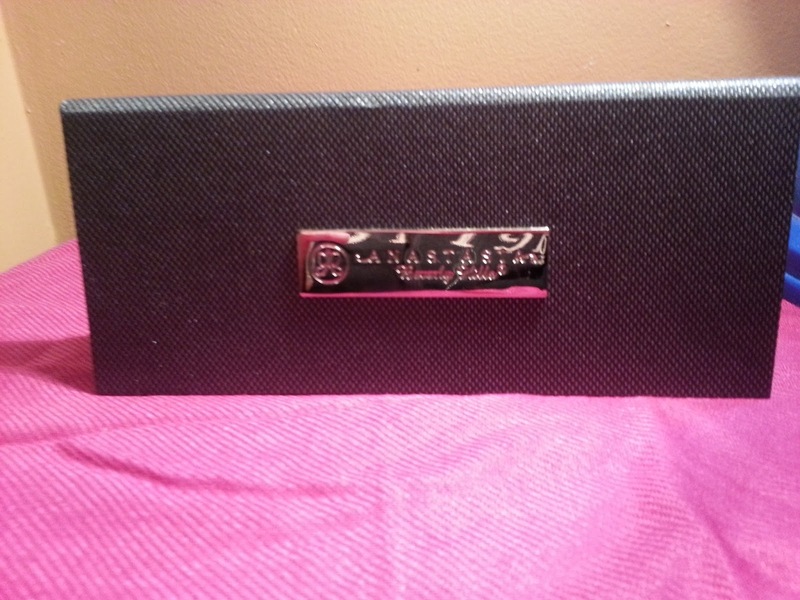 Take a look back at the overview of the box! 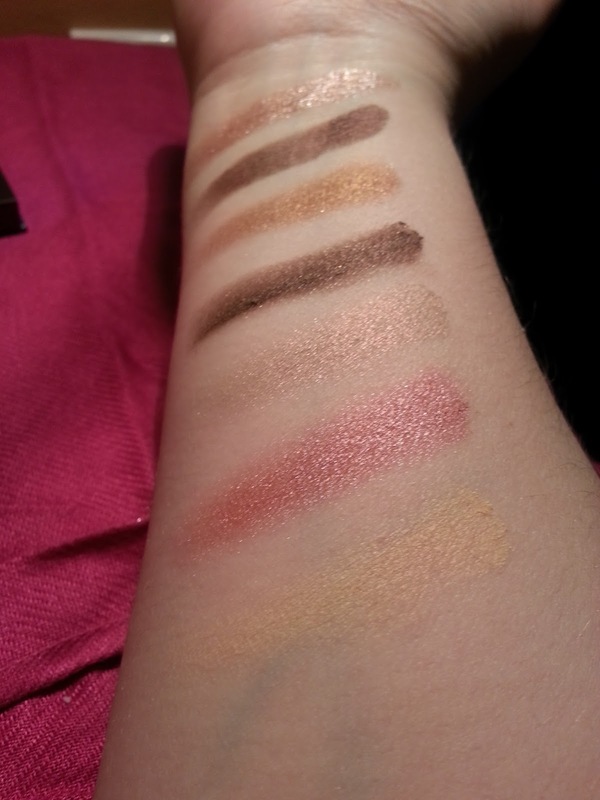 I said that I would share some swatches, so here they are! Just the outside of the packaging, it's pretty! 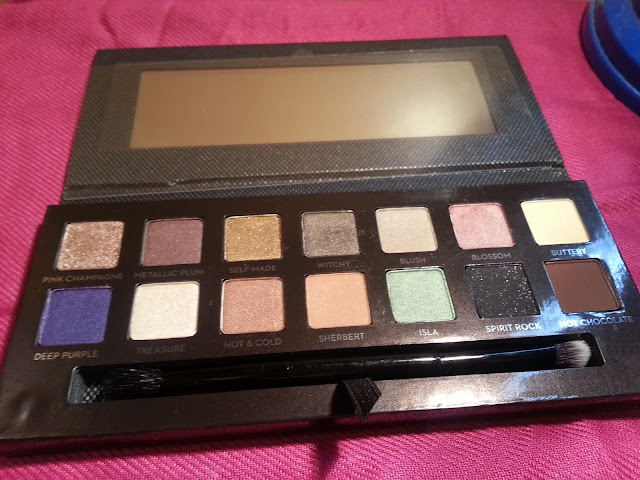 The Self-Made Eye Shadow Palette is sold for $35 USD, and can be purchased from a few different websites. You can also purchase it right off of the Anastasia Beverly Hill website. Outside packaging, it's pretty unique feeling. But, pretty simple as well! 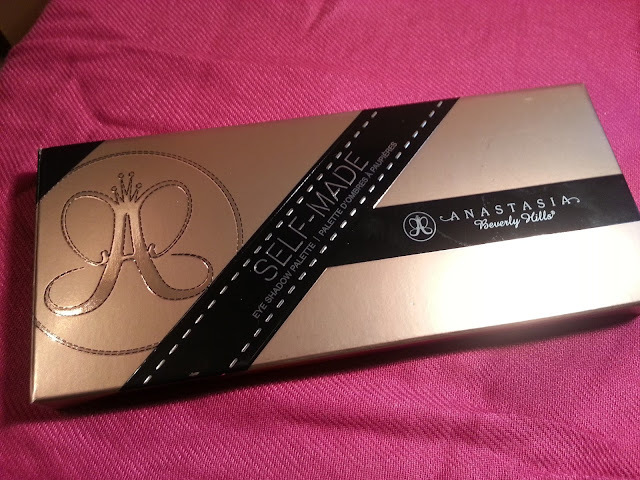 Like most palettes, there is a mirror included in the packaging, as well as a double ended brush. I haven't tried the brush yet, I'm not a fan of double ended brushes, and I have a few favourite ones already. There are a few colours in here I really like, and some that I don't have in my collection. Here's a look at what the shadows look like against my skin tone. Swatched here is the top row of the palette. I really love how pink champagne, and blush look against my skin! I love the blossom shade as well, but I feel it wouldn't look nice with my green eyes.. and dark circles! 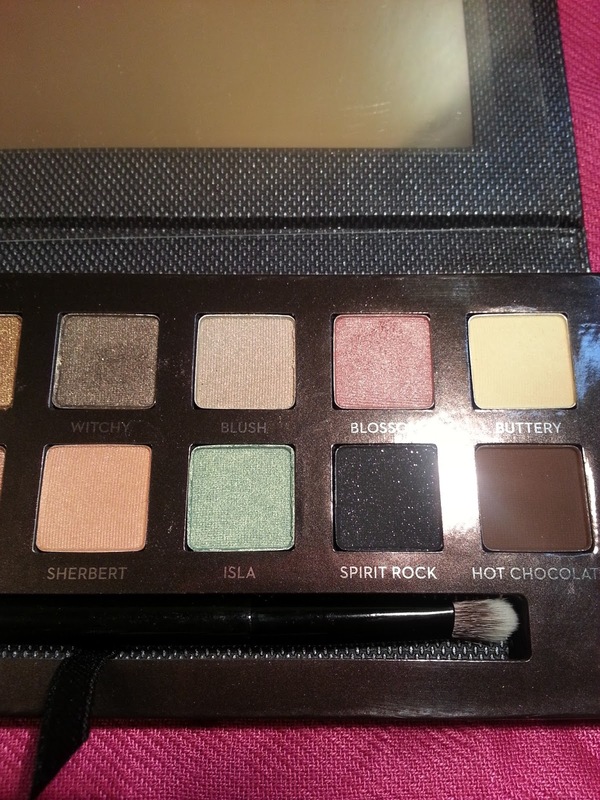 This is the bottom row of the palette, from left to right. Deep purple is a beautiful purple colour, and treasure is very similar to the pink champagne and blush shades that I like from the first swatch. Isla is a pretty seafoam colour but again, I think it would look odd with my eyes. Also, I think Hot & Cold, and Sherbert are way too orange for me! Finally, spirit rock does have some unique purple sparkle in there, but it's so hard to pick up with the camera! After swatching, this probably won't be my favourite palette to use. 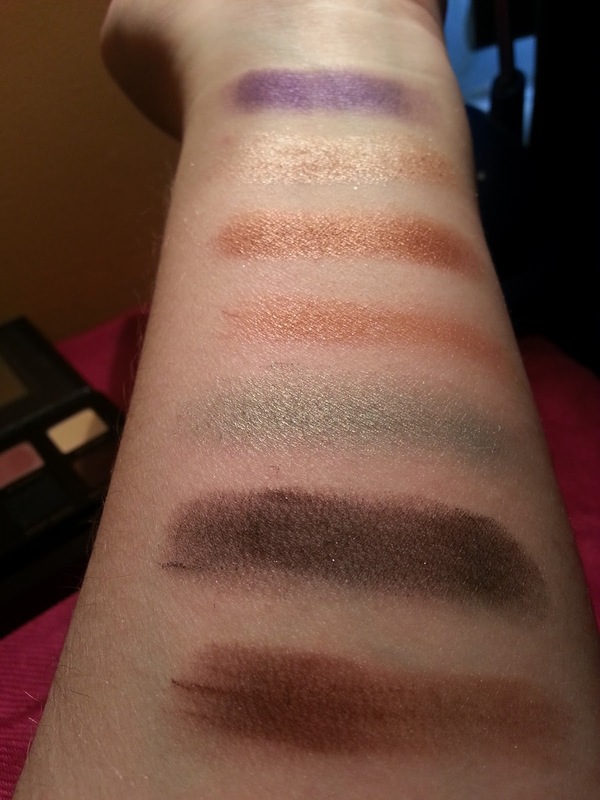 Some of the pigmentation was hard to pick up, and not all of the colours I would usually wear. But thats the fun with makeup, there are no rules! Who knows, maybe I will try the colours I'm not sure about, on my eyes and see what it looks like! 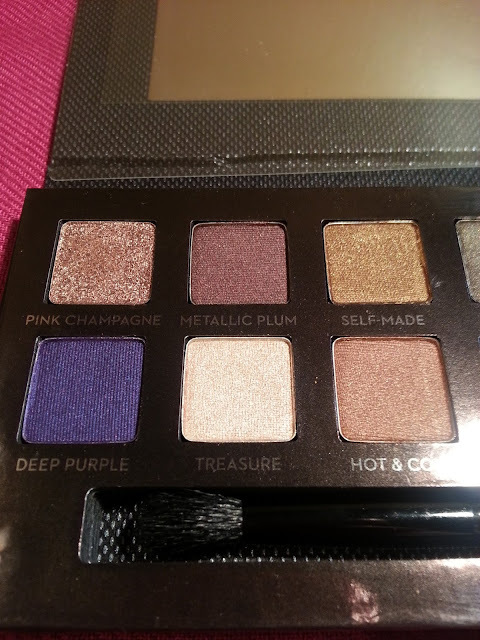 Do you have the Anastasia Beverly Hills Self-Made Eye Shadow Palette? What are your favourite colours?